Fusion South Ba y is a unique and specialized area, and takes a realtor that understands the intricacies of the market and how to effectively prepare, present and market a home to reach the target buyer and obtain the highest possible price with the least amount of inconvenience and stress to the seller. This is accomplished through deep knowledge and understanding of market conditions, price trends and through extensive communication with potential buyers. The two most important factors before putting your home on the market are pricing and preparing the home for sale. In the luxury world of real estate in Manhattan Beach pricing is not as simple as listing the home slightly higher than the last sale. No two homes are the same, and factors such as age, views, specific location, upgrades and others made an incredible difference. When working with Keith Kyle, you are getting far more than one real estate professional. 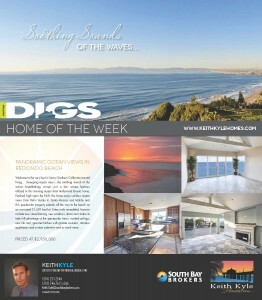 South Bay Brokers agents work as a team to determine the most accurate price for your property. Using up to date statistical reports as well as evaluation from the agents at Vista Sotheby’s International, we can accurately determine the ideal list price for your home or investment property. Find out what your Fusion South Bay home is worth. Buyers and realtors are fickle, and sellers have one shot to immediately capture the interest of the market. Pricing and home prep go hand in hand and are critical in capturing the momentum that comes with being a new listing. First impressions are everything and we are experts in preparing homes for the market. 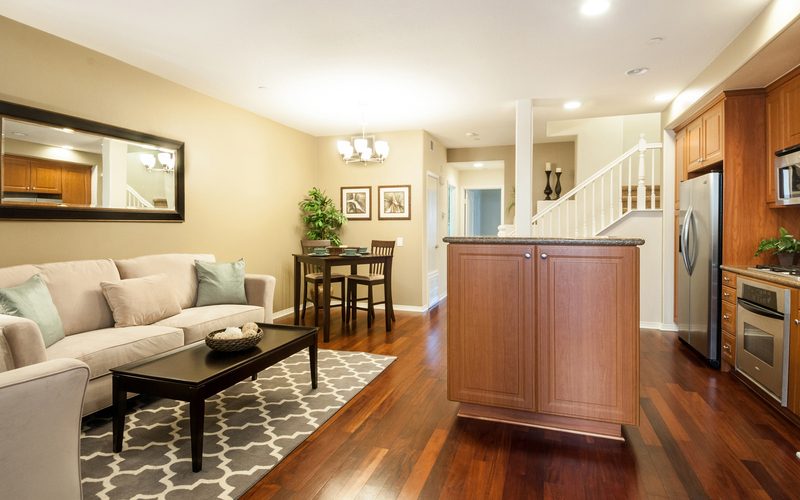 From cosmetic updates, to partial remodeling, to staging, we help guide our clients though the process with our vast knowledge of the market and what buyers are looking for. We spend endless hours showing homes and hearing the comments buyers make and can help tap into this insight to help prepare your home. 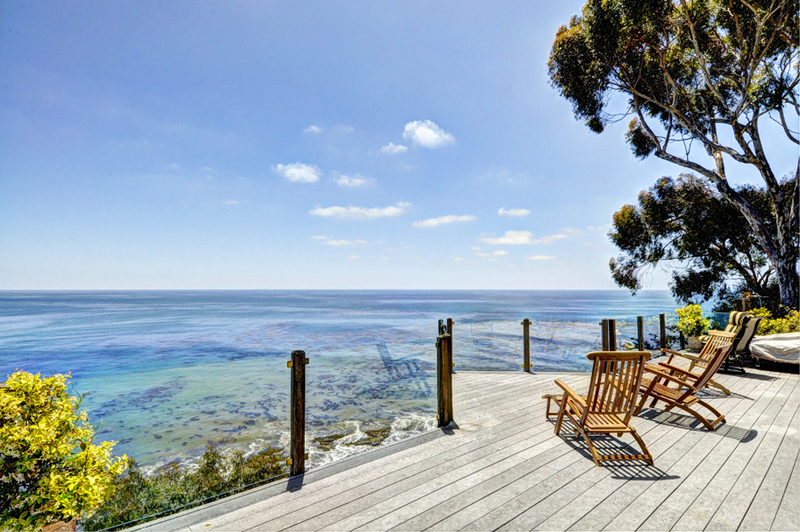 Perhaps the most disappointing element of how realtors often market homes, even in a luxury market like Manhattan Beach, is how little effort goes into presenting the home. Whether realtors are often lazy or don’t want to incur the expense, the single biggest marketing tool we have to present to buyers, photographs of the home, are often taken with pocket cameras or even phones. We believe that every home deserves to be shown in the very best light and with so many home buyers searching online, photography is a critical element. We use professional photographers to help make homes look spectacular. If the saying is a picture is worth a thousand words isn’t it critical that those word put the home in the very best light? We use these photographs as the very background of our marketing strategy and beyond just the impression they make on the MLS, we use them for buyer mailers and postcards, professionally designed flyers and print media, advertising and so much more. Great photographs may not be enough these days for today’s savvy home buyers. We incorporate both a visual tour and video walkthrough for all of our listings to all buyers to get a more realistic sense of the home, how it flows, and where rooms and spaces are in relation to one another. It is our goal to have every potential buyer “need” to see the home in person and through virtual tours and narrated video walkthroughs we can reach an even greater audience. Your property is immediately posted to the multiple listing services of the South Bay MLS and Multi Regional MLS giving you instant access to 1000’s of agents and their extensive client databases. Although we focus much of our advertising on the broader Southern California, national and even internationalbuyers through our intensive online advertising strategies, it’s also vitally important to reach the more localized buyers through our various print advertising and mailers. 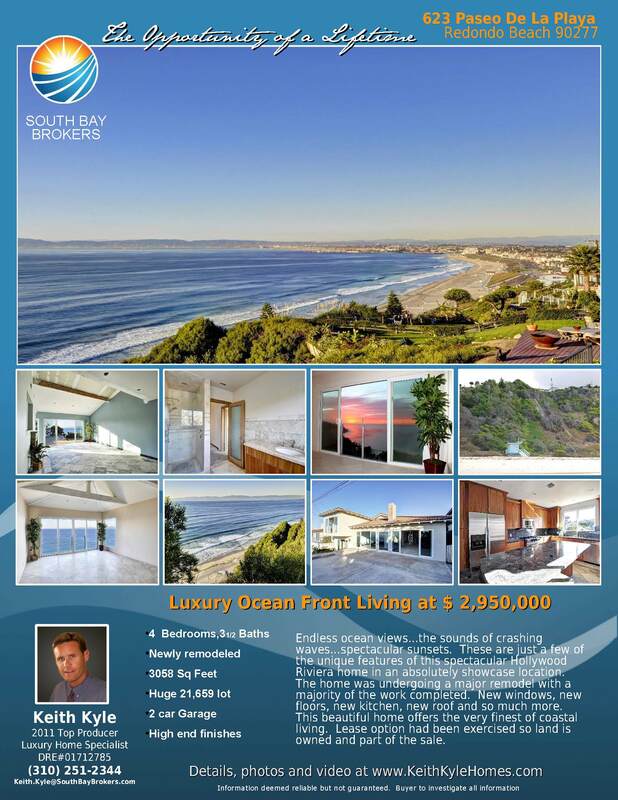 We reach these local buyers through various methods including The Beach Reporter, Daily Breeze, an DIGS magazine with professionally designed full color advertising. We target and reach and even more localized audience with various just listed and just sold mailers as well as full color flyers and email flyers. Your property will automatically be listed and seen by thousands of Real Estate Professionals in the South Bay and Southern California areas and beyond. What this means for you? Vista Sotheby’s and Keith Kyle will work closely with other real estate agencies to show and sell your property to any potential customer. This offers you 100% exposure and a far greater opportunity to sell your home quickly and for top dollar. 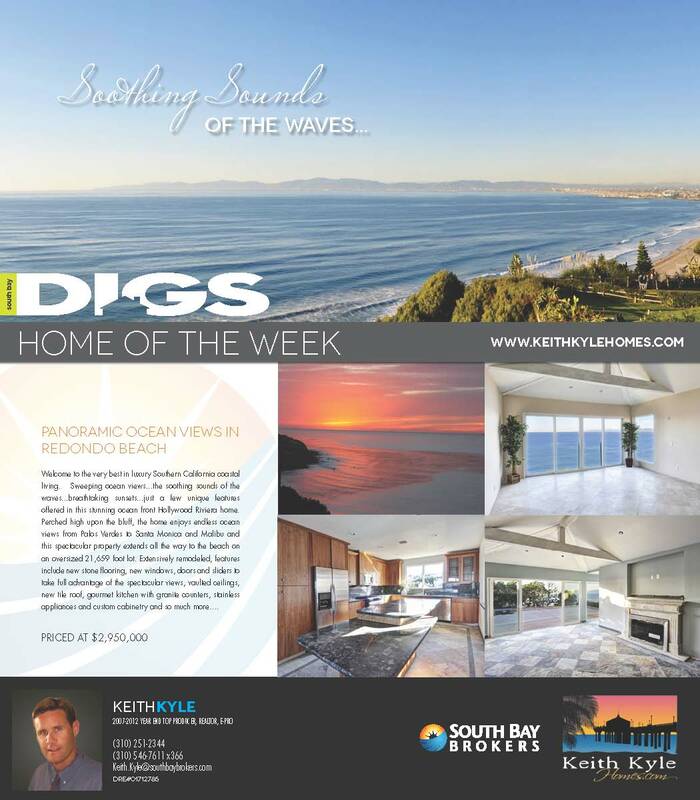 Keith Kyle and his team realtors will do weekly Open Houses at your property to ensure maximum exposure of your home (Advertised on Thursday in The Beach Reporter, The Easy Reader, and our websites). Our team does pre open house work and presents potential buyers with critical information on the comparable homes, local schools, values and more. 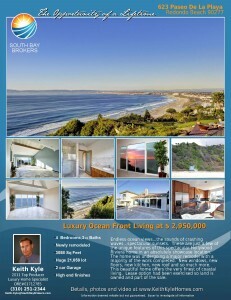 Keith Kyle and Vista Sotheby’s has the ability to produce a personalized and professional website of your property. This allows potential buyers to feel like they are actually walking through your home.